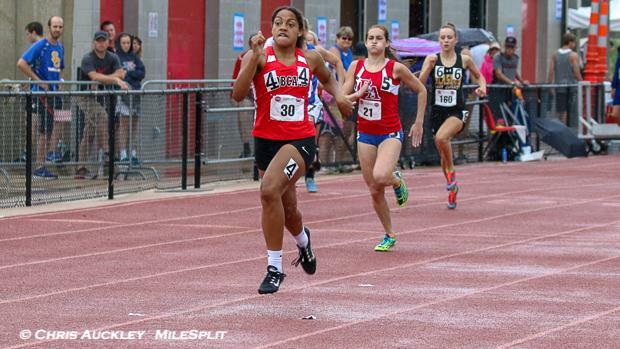 There are fourteen State Qualifiers and seven State Medalists returning in the Class 1 Girls 100m, however the State Champion is not one of them so there will be a new winner crowned this season. Braymer's Jasmine Taylor has the fastest returning time from last year with a 12.54, and finished as the Runner Up last season at State in the 100m. The 200m and 400m State Champion won 32 of 35 races last season in the sprinting events, including running the fastest time in prelims at State in the 100m with a 12.62. She'll have to fend of six other returning medalists to win it this year with Aleah Asare (12.81), Jaelyn Steeby-Thomas (12.83), Emma Shirley (12.82), Rachel Lacey (12.90), Jaiden Linebaugh (12.93), and Danielle Wilson (12.63) all coming back looking to climb higher on the podium in 2019. Below you can find my subjective rankings and honorable mentions for the Class 1 Girls 100m Dash.